Everybody wants something out of life, but the question is, How bad do you want it? Our human flesh by nature is selfish and wants its own way. If we’re going to make progress in any life goal, we will always have to make a choice of whether to exercise discipline. Even doing nothing is a choice. I always say that making no decision is a decision. Whether you’re working on a random project, a book, in school or college, saving or investing for the long-term, striving for or maintaining your fitness and nutrition goals, or setting boundaries of respect and self-love in your personal relationships, you must use discipline. 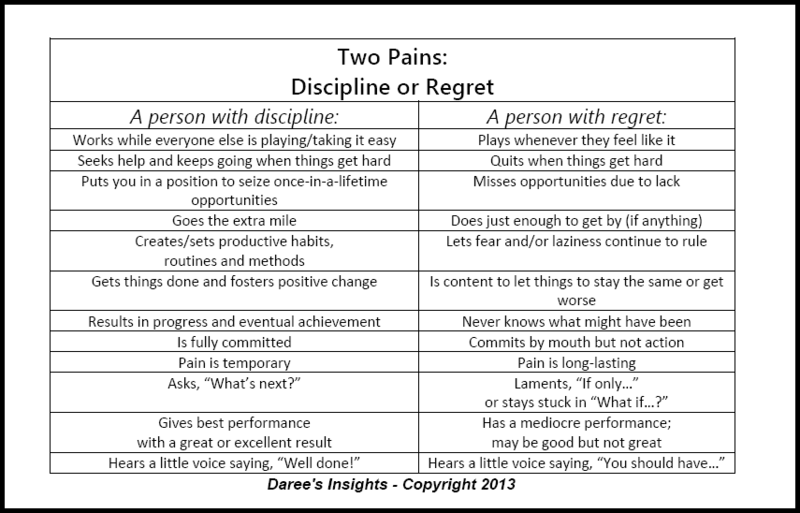 That leaves us with a choice of two pains with said life goals: the pain of discipline or the pain of regret.